DAVID Warner has traded the white collar of his cricket shirt for blue collar work on a building site - his own building site, to be exact. The Aussie batsman - who was banned from international and state cricket for a year for his part in the ball tampering scandal in South Africa - is spending his free time helping build his house in the eastern Sydney suburb of Maroubra. Wearing a black singlet and white hard hat with the words "Project Manager" and "Apprentice Celebrity" written on it in black marker, Warner was filmed chipping in as construction continued on his beachside mansion. According to The Australian, Warner has built a property portfolio worth $10 million, and quotes him as saying in an interview two years ago: "My financial adviser told me: 'If you have to work after cricket, I haven't done my job properly.'" Warner purchased the 900sq m oceanfront property for $4 million in December 2015. It was thought Warner and wife Candice were going to move into this property and turn it into their family home. The project has been stuttering along and 14 months later is still a building site as development has been moving so slowly. But with more time on his hands, Warner can ensure the project gets a move-on, which will no doubt please neighbours who have been frustrated by the slow process. 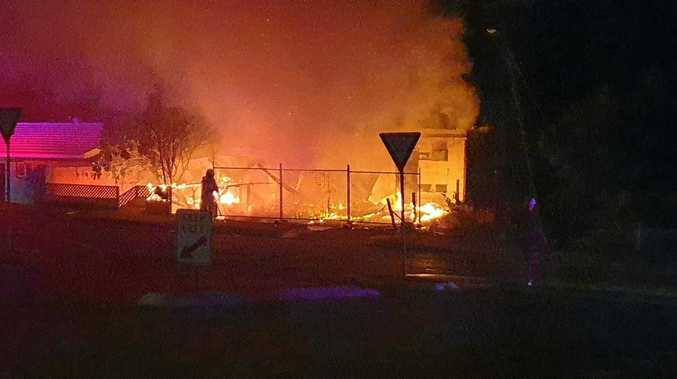 Before footage of Warner working on his property emerged, one neighbour told news.com.au: "Trucks have been coming and going for months, but then we don't see anything for a couple of weeks. We expected this to be built by now - he bought the place ages ago and it's not pretty to look at. Candice posted a photo on Instagram of the pair's daughters wearing hard hats and exploring the development. 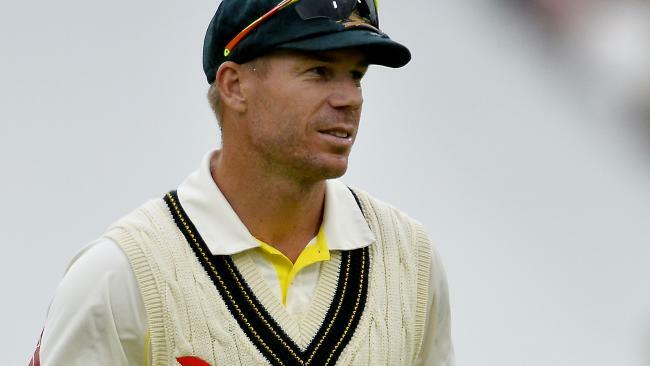 However, Warner's time in exile could come to an end sooner than first thought with news he might be able to trade bricks and mortar for a bat and ball in England this year. Surrey coach and former Australian player Michael Di Venuto has confirmed he'd be keen to sign one of the country's banned Test stars. Di Venuto was Australia's batting coach until 2016 and remains close to both Steve Smith and Warner. Cameron Bancroft, who was issued with a nine-month suspension, had his contract with Somerset ripped up following the incident, with Smith and Warner losing their lucrative IPL deals. The trio is only permitted to play grade cricket in Australia, but their bans do not prevent them from playing in England, although it would require approval from the England and Wales Cricket Board. South Africa opener Dean Elgar was signed by the club for April and May, leaving another overseas spot available for the second half of the season. Australia will defend its World Cup crown in England next year followed by an attempt to win a first away Ashes series since 2001. 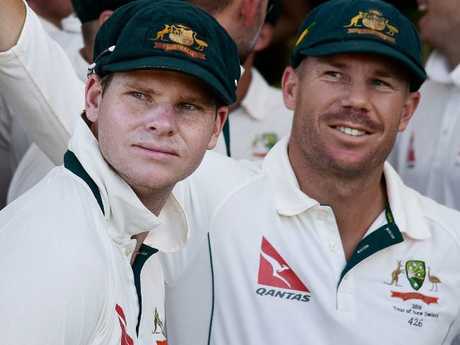 Steve Smith and David Warner may both be in high demand on the county circuit. None of Smith, Warner or Bancroft will have played any first-class cricket before the start of the World Cup and Di Venuto believes a spell in England will benefit the players and Australia.